FIRST (For Inspiration and Recognition of Science and Technology) is an organization that was founded by Dean Kamen in an effort to inspire young people through science and technology, and to grow up and become leaders in STEM fields. While FIRST heavily involves learning through hands on robot-building, there is a whole marketing and business aspect that is essential to each team and creates a well-rounded atmosphere for kids to learn, experience, and have fun in. 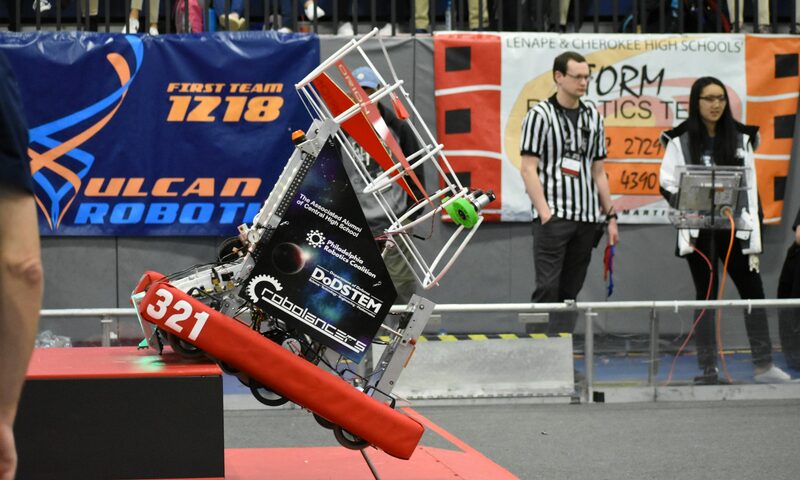 Over the past 24 years FIRST has grown from a small high-school robotics competition in Massachusetts into a global sport where schools all around the world compete. Through this amazing program, FIRST inspires students from ages k-12 into becoming young leaders who are confident, poised, educated, and ready for the future, and the RoboLancers are proud to be a part of FIRST. This is a term coined by Dr. Woodie Flowers, FIRST National Advisor, are embodies what FIRST Robotics is all about. This is a way FIRST teams conduct themselves, which encourages high-quality determination and work, emphasizes the value of other competitors, and to respect yourself, others, and the community. An example of this would be lending an opponent team tools so they can fix their robot. Gracious Professionalism is one of the motto’s of FIRST and is something teams live by. It shows that life is more about leading a meaningful life than winning a competition. FIRST was founded in 1989 with all these goals in mind and has grown ever since.